Imagine treating a wound without antibiotics but instead of plasma, infact cold plasma. Scientists are working on a using cold plasma technology which can treat infections and work better than antibiotics. Cold plasma is not hot. 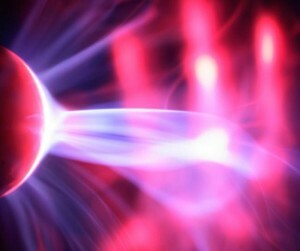 Unlike Plasma which is an ionized gas and sometimes called the fourth state of matter typically runs in about thousands of degrees Celsius. These typical hot plasmas are used for sterilizing surgical equipment. However cold plasmas run at room temperature. Recently researchers were able to make plasmas steady at 35 to 40 degree celsius at atmospheric pressure. Russian researchers used this cold plasma against microbes that lead to infections. When cold plasma was used on two common bacteria, Pseudomonas aeruginosa and Staphylococcus aureus, which show up frequently in wound infections are resistant to antibiotics because they have a protective layer called a biofilm. After five minutes under the cold plasma, the torch killed 99 percent of bacteria grown in a petri dish. The same was tested on rats where the plasma killed 90 percent of the bacteria on the wounds of the rats. The research is published in the Journal of Medical Microbiology. Cold plasma treatments also avoid side effects that drugs often have. You can read the journal here. Ripoff? BlackBerry Torch costs $171 to Make! Next Research: The Star of Bethlehem was Jupiter!